No. 26. The flower it blaws, it fades, it fa's. Tune: Ye're welcome Charlie Stewart. 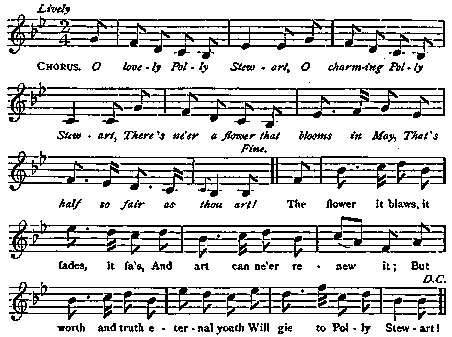 Scots Musical Museum, 1796 No-, 47 r.
O charming Polly Stewart, There's ne'er a flower that blooms in May, That's half so fair as thou art! May he whase arms shall fauld thy charms .